How Much Have You Wasted On Freelance Arizona Court Reporters? Beyond fighting hidden charges and unclear terms, how much time have you wasted tracking down the right court reporter for the job? What if I told you, this is easily avoidable? Perhaps you have your go-to reporter... However, each court reporter brings his own talents into the mix. Which means, not every Arizona court reporter has the same strengths, the same experience with industry jargon and experience with varying case sizes. Discovery Litigation Services has spent decades in the business cultivating networks on all sides of the industry. As we have the luxury of pulling a highly qualified Arizona court reporter from a large webwork of expert legal professionals, we can ensure you will get exactly the court reporter necessary to do the job right at a superior level of excellence. To get started now click the “Schedule Now” button on the right side menu or give us a call at (855) 847-0999 to speak with a live person ready to answer any questions you have. 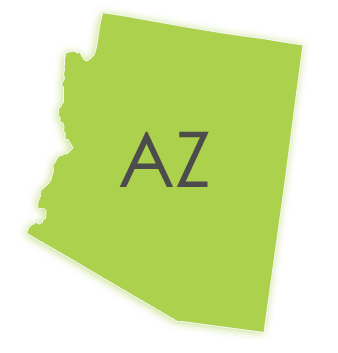 When you book a real time ready Arizona court reporter with Discovery Litigation Services, you get speed, reliability, and a commitment to excellence. As on-the-fly accuracy of the official record is of utmost importance to our real time court reporters, you get to enjoy the benefit of an instant first draft transcript transmitted straight to your screen while the deposition unfolds. Because of the initial accuracy of these real time transcripts, there are less errors to correct, and notes to address, meaning you get your official court transcript lightning fast. How does this compare to traditional court reporting? Before real time court reporting, a court reporter had the luxury of fixing his mistakes later. The issue with this is it fosters an environment where accuracy is a secondary thought - knowing nobody is going to see the first draft and the court reporter could take his time to fix it later. With our real time court reporting, accuracy is above 90% thus producing a viable first draft to be read as it’s created. This means less errors to correct, and less turnaround time between the end of the deposition and delivery of a final transcript. We treat our team right. When you work with a company who treats their team right, you are working with a company that fosters productivity. Remember back to a time when you were unmotivated, not by the job itself, but because of the environment, people, and management style to which you were subjected. How did that work to motivate you and add to your ability to get your job done to the best of your ability. It is our guess that it was a hinderance to your job. Whether you kept your level of intensity and enthusiasm was up to you, but you were fighting an uphill battle. Now flash forward to a time where you were well taken care of and worked in a collaborative, supportive team like workplace. Productivity just poured out of you and you probably did your job with a smile! This translates directly to the client - you!. We understand the importance of treating the team right to foster that enthusiasm for the job which naturally propels you to go the extra mile happily and without question. That enthusiasm and dedication to Discovery Litigation Services is imbued into our work.